Find good books for young readers the easy way by using this guide. Designed for educators and students, it arranges titles by genre and theme so users can find books similar to the ones they love. Chapters include contemporary life, fantasy, animals, historical fiction, and mystery. Within these categories books are arranged under such topics as family relations, friends and friendship, schools, ethnic groups, and problem novels. Focusing on books published after 1990, popular paperback series, and the not-to-be-forgotten classics, the authors have selected titles noted for quality. 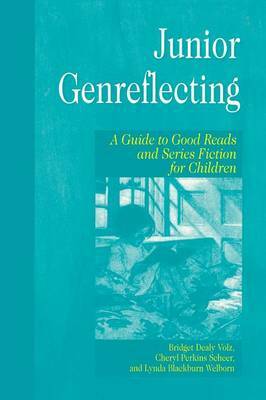 A brief historical background of each genre is given, and useful Web sites on children's fiction are listed. Great for collection development, this book is a helpful tool for answering the question, What else can I read? A must-buy for any children's book collection.